Before joining CFI, Dr. Strangway was President of the University of British Columbia. During his 12-year tenure, his vision and commitment to excellence were widely credited with positioning the university as a world-class academic institution. In addition, at the University of Toronto, he held earlier a number of positions including Acting President, Vice-President, and Chairman of the Geology Department. 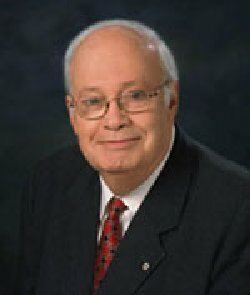 Among his numerous awards and honours, Dr. Strangway was made an Officer of the Order of Canada. In recognition of his work in advancing Korean studies at UBC, he was awarded the First Order of Civil Merit Medal from the Government of South Korea; the first time the medal had been awarded to a non-Korean. He received the J. Tuzo Wilson Award from the Canadian Geophysical Union, and the Logan Gold Medal from the Geological Association of Canada in 1984. He was presented the Izaak Walton Killam Memorial Scholarship in 1980 and was honoured with the NASA Medal for Exceptional Scientific Achievement. In addition, he is the author or co-author of more that 165 scientific papers and publications in the area of geophysics. He has received a number of Honorary degrees from universities across Canada and around the world. Tonight Ladies and Gentlemen – the EIC would like to add one more honour as an Honorary Member of the Institute of Canada.